We’d love your help. Let us know what’s wrong with this preview of Connectome by Sebastian Seung. To ask other readers questions about Connectome, please sign up. A connectome is the sum total of connections between neurons in a brain. 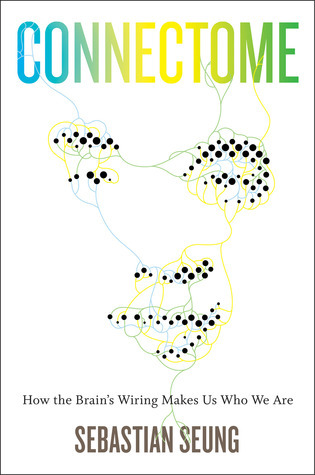 Sebastian Seung argues in his book that one's connectome is the essence of an individual. A connectome contains one's memories and personality, and defines who we are. The idea is that at birth, one's neurons are connected with each another at random. As one grows, the brain's connectome changes through the "four R's": reweighting, reconnection, rewiring, and regeneration. These changes are the essence of growing new memori A connectome is the sum total of connections between neurons in a brain. Sebastian Seung argues in his book that one's connectome is the essence of an individual. A connectome contains one's memories and personality, and defines who we are. The idea is that at birth, one's neurons are connected with each another at random. As one grows, the brain's connectome changes through the "four R's": reweighting, reconnection, rewiring, and regeneration. These changes are the essence of growing new memories. If you're a scientist who purchases instruments, you could strive for better ones than your rivals by excelling at fundraising. But you'd gain a more decisive advantage by building an instrument that money can't buy. Seung describes a hierarchy of new technologies, each bringing new understanding to connectomes. He begins with the microscope, of course, but looking at pieces of a brain through a microscope is not very enlightening. The real ground-breaking technologies were various types of stains, such as the Golgi stain. This allowed researchers to identify individual neurons. Later, the electron microscope helped to analyze the structure of neurons, and imaging techniques like fMRI's helped to distinguish functional areas of the brain. Seung is a leading researcher in the burgeoning field of connectomics in neuroscience. In the book, he emphasizes a host of new technologies that he hopes will eventually unravel the connectome of a mouse brain. First, new slicing techniques are being developed to peel off extremely thin slices of a brain. These slices can then be scanned by an electron microscope, whose depth of field is limited. The next technology is computer systems for handling massive amounts of data, in conjunction with artificial intelligence (AI) for discerning three-dimensional structure in a set of images. This section of the book is the most interesting, as the reader feels the enthusiasm of a researcher on a leading edge of science. The last two chapters of the book are interesting speculations. One chapter is titled, "To Freeze or to Pickle?" It concerns new developments in cryonics, in which people elect to have their heads or their entire bodies frozen after death. The idea is that in the distant future it might be possible to revive the connectome in a brain, and thus revive a person from death. This book was quite a pleasant read, especially compared to some of the other books on brain science I read. Seung gives a very clear and well structured overview of his ideas: from the concepts and principles of the connectome paradigm (basically the idea that a complete map of neuron wiring would allow us to completely understand the brain) to the techniques for constructing such a brain model to some philosophical consequences. The reason that I give a relatively low rating is that I found th This book was quite a pleasant read, especially compared to some of the other books on brain science I read. Seung gives a very clear and well structured overview of his ideas: from the concepts and principles of the connectome paradigm (basically the idea that a complete map of neuron wiring would allow us to completely understand the brain) to the techniques for constructing such a brain model to some philosophical consequences. The reason that I give a relatively low rating is that I found the book quite full of 'hot air' (I also thought this of Seung's TED talk). Being a bioinformatician myself, I recognize the same type of hype that was around the human genome project. We can sequence a person for less than a year's wage, yet not all genetic diseases have been vanished from the face of the earth. Similarly, Seung does not really delve in detail how we will use the connectome to read memories or cure depressions. Though, this might be just me nitpicking. It is also hard to take someone serious who 'mocks' genetics, but at the same time claims neural wiring is the holy grail to solve all of our eartly problems (literally). ...Among all of the questions we can ask as human beings, even with all of our progress and our potential, that question alone remains one of the most difficult, or perhaps the most difficult, to answer. Innumerable factors are involved when it comes to the inner workings of the mind and how it serves to shape our characters and our behavior. We are only just beginning to understand the unfathomable intricacies of the brain, this small, yet remarkably powerful organ at the center of all that we do. Our very functioning depends on it. Yet we understand relatively little about the relationship between the brain, with its vast network of neuronal connections, and the foundation of the genome, our genetic “program,” which possesses its own complex code. Of course, the genome serves as the foundation for many of our characteristics, such as our predisposition to various conditions and our physical attributes. It is the framework of our hereditary information, the core of traits passed on from parent to offspring, developed over many generations. However, the genome is not home to the memory of our first love or the feeling of pain when someone whom we know has been lost. It is not the center of our passion, nor is it the basis for our relationships with others. These are the qualities that make us truly unique. Every experience we have is linked to brain activity, specifically between neurons and synapses, which collectively might be thought of as the “circuitry” of the brain. The neuronal connections formed throughout our lives are now the subject of much investigation, because the relationships between these connections, now referred to as our “connectome,” may serve to tell us more about who we are and why than anything ever before. This is where our genome meets the brain's incredible system as it develops throughout our lives (relative, of course, to our personal experiences). Here, nature meets nurture to form the basis for what makes each and every person truly special. As they say, you are your Connectome. Sebastian Seung is an ambitious and charismatic rising star in the field of neuroscience. He has received numerous accolades and currently teaches at MIT as a professor of computational neuroscience. Now, Seung, along with the help of fellow researchers, is determined to understand more completely the complexities of neuronal connections and their relationship to who we are. Connectome: How the Brain's Wiring Makes Us Who We Are is a lucid and exciting read about this exploration and the implications for truly solving this greatest of mysteries. Yes, it is a book about science, but this is not your ordinary science text. Seung, regarded as a highly effective and dynamic teacher, makes learning about the science of the brain enjoyable, and the content is accessible. You really get a sense of the potential regarding this research and what Seung and his colleagues hope to achieve through such discoveries. What would it be like to have a better grasp of the causes for conditions like schizophrenia and bipolar disorder? Sebastian Seung is one of a group of neuroscientists who want to literally unravel the brain's wiring diagram in hopes that it will be the ultimate tool to determine our individual differences and to solve such deep and thorny problems as autism, schizophrenia, depression and other mental disorders. Seung is a good writer, particularly at explaining the basics of neuroscience and helping you understand the history of research that revealed the existence of neurons, the development of brain maps and the discoveries of how certain parts of the brain specialize in certain functions. The book is actually less successful, I think, when it delves into Seung's main interest -- figuring out how to trace the myriad connections of neurons and dendrites and neurites and synapses in the brain. He makes it clear how daunting the challenges will be in reconstructing a complete "connectome" of even one square millimeter of mouse brain, let alone a whole human brain, and is honest about how much further technology and computing power have to go to make that possible. But he may be right in saying that the promise of connectomics is much greater than any other brain imaging and measurement method now available, all of which are leagues cruder by comparison. The end of the book -- a speculative look at the possibilities of cryogenic preservation of the brain for future revivification, and the prospect for one day being able to "upload" the informational content of a brain into a computer program -- is meant to tantalize and raise some profound issues, but these are so far fetched at the moment they have a slight ring of absurdity. Who are we? What are we? Dualists take the position that the mind is separate from the brain, while monists say they are the same thing. The connectome presents an intriguing third option: the mind is not the brain per se, but rather the way that the neurons are connected. Sebastian Seung presents this using everyday language, relating the effects to everyday occurrences and meaning. Your genes determine how your body grows from an egg to an adult. Your connectome is determined only partially by your genes, and quite a bit larger part by your experiences. It is almost a platitude: your experiences make you what you are, but in this book we have a clear explanation of why and how that works. Part I starts by looking at the history of brain science. Phrenology, the study of the shape of the skull, is a largely discredited pseudoscience, but Seung teases us with the idea that phrenology at least promoted the idea that certain kinds of mental processing is associated with certain parts of the brain. Brain size has always been a historical fascination, but it is the structure that is important, not the size. Penfield's sensory homunculus maps specific sensory functions to specific parts of the brain. Phantom senses from amputated limbs can be found in this mapping. Part II starts with the building blocks: neurons, how they function, how they grow, and most importantly how they connect. Seung's unconventional style leads us to the 'Jennifer Aniston neuron' which apparently we all have. It is a specific neuron that is triggered when we recognize Jennifer Aniston. Similar neurons exist for all other specific concepts that we have come to know. This brings him to an explanation of how memory works. Neurons are triggered or inhibited through their connections. The repeated firing of neurons at the same time cause neurons to create new synapses -- new connections that are the basis for long term memory. Learning is then simply the making of new connections between neurons. The way we perceive the world, and the way we remember what happened to us in the past, all comes from the pattern of connections between the neurons. The future of psychiatry is destined to be reduced to a new field called connectopathy: the ways that the connectome might be mis-wired. However, connections are not simply binary on-off mechanisms. The connectome in changed through four different mechanisms which he calls the four R's of connectome change: reweighting, reconnection, rewiring, and regeneration. Part IV shifts to more practical matters: how can we measure and study the connectome? He surveys the various means for solidifying the brain, slicing it, photographing, recognizing the structures, and tracing the path of nerves and how they are connected. For a worm with 302 neurons this has been done, but this is hardly a practical approach for humans-scale brains. MRI and other techniques allow studying living brains. It is all a bit too course grained for now, because while understanding the function of regions of the brain is important, it is the actual specific connections between specific neurons that form actual intelligence. Technology allow for increasingly fine observations, and increasingly massive data result sets, and it would appear that some day it may be possible to map your connectome. Part V concludes the book with some interesting speculation that is sure to please the science fiction fans among us: can we achieve immortality through scientific means? First, can we freeze or pickle ourselves and be revived in the far future when death has been cured? Second, can we be uploaded to a software simulation of the brain. If the connectome can be fully traced in an individual, there is no reason that a simulation of the nerves would not produce a running facsimile of that individual with all their memories and skills. However, that copy of the person would be that: a copy, and not the original individual. It would make no sense to desire that a copy of ourselves achieves immortality, however some connectomes are wired to be insanely egocentric, and just might decide to do it anyway. One tidy book brings us up to date on the state of neurology -- at least at a level that can be understood without a background in neurology. The book has to dispel a lot of myths and historical pseudoscience. It also makes it clear that we are still just at the beginning of the journey of understanding how the connectome achieves its most baffling result: a sense of consciousness. Uno dei libri di neurologia più suggestivi che abbia letto. Si parla di connessioni tra neuroni, quella ramificazione infinita di filamenti afferenti ed efferenti costituiti da dendriti e neuriti che, come spaghetti cotti in un piatto formano il groviglio che costituisce la massa cerebrale bianca e buona parte del SN periferico. Secondo l'autore "noi siamo il nostro connettoma" perché, a differenza del DNA che determina con i propri geni la nostra costituzione e la stessa struttura del SN, le vie Uno dei libri di neurologia più suggestivi che abbia letto. Secondo l'autore "noi siamo il nostro connettoma" perché, a differenza del DNA che determina con i propri geni la nostra costituzione e la stessa struttura del SN, le vie che si formano sono la componente plastica che si modifica continuamente per effetto dell'apprendimento di una vita. Lo studio di come funzioni il sistema è complicatissimo ed altrettanto lo sono le indagini per sbrogliare quella immensa matassa, il cui sviluppo dipende da fattori funzionali ancora in fase di definizione, ma qualcosa comincia ad apparire all'orizzonte. La prima parte del libro è una descrizione dettagliata della fisiologia che trova per il sistema di cablaggio del nostro SN alcune regole, leggi, che sono la Ripesatura, la Riconnessione, il Ricablaggio e la Rigenerazione (4R), che rendono questa sostanza estremamente dinamica sotto il profilo funzionale. E' importante avere abbastanza chiaro il funzionamento microscopico per intuire i processi che si esplicitano a livello macroscopico, come ad esempio, quello della memoria o della possibilità che la mappa corticale subisca variazioni di fronte a carenze percettive o motorie causate da traumi o patologie. Ma questo discorso vale anche per iper sollecitazioni di alcune funzioni. Una sezione è dedicata alle tecnologie che aiutano i neurofisiologi a scoprire e mappare questo groviglio di strade, progetto che è immane se si pensa che, solo per ottenerlo da organismi relativamente semplici, ha richiesto anni di studio. Ma per fare questo si pensa ad un progetto come quello del genoma che sembrava impossibile da realizzare in pochi anni e, invece, la tecnologia lo ha permesso. L'ultima parte tratta invece di come si stia tentando attraverso la strada della crionica (ibernazione), o quella del possibile tentativo dell' uploading della propria identità su un supporto informatico. Si parla quindi di "transumanesimo", condizione che trascende la condizione umana. Tutto ciò con inquietanti domande di natura etica e filosofica circa le conseguenze di queste possibili future pratiche. Seung introduces us to the dedicated researchers who are mapping the brain’s connections, neuron by neuron, synapse by synapse. It is a monumental undertaking - the scientific equivalent of climbing Mount Everest - but if they succeed, it could reveal the basis of personality, intelligence, memory, and perhaps even mental disorders. Many scientists speculate that people with anorexia, autism, and schizophrenia are “wired differently,” but nobody knows for sure. The brain’s wiring has never been seen clearly. .In sparklingly clear prose, Seung reveals the amazing technological advances that will soon help us map connectomes. He also examines the evidence that these maps will someday allow humans to “upload” their minds into computers, achieving a kind of immortality. Sebastian Sung is a brilliantly lucid writer. His analogies are clear; his ideas, interesting. Sadly his medical materialism taints the whole meal. According to Sung, there is no soul. Or anything else which can't be physically measured. Most notably missing are any references to emergent properties. Nor does he refer to the idea that the knowable real world is based on naturally occurring fractal patterns, rather than on logically linear patterns. Worse yet, nowhere does he mention the idea that Sebastian Sung is a brilliantly lucid writer. His analogies are clear; his ideas, interesting. Sadly his medical materialism taints the whole meal. According to Sung, there is no soul. Or anything else which can't be physically measured. Most notably missing are any references to emergent properties. Nor does he refer to the idea that the knowable real world is based on naturally occurring fractal patterns, rather than on logically linear patterns. Worse yet, nowhere does he mention the idea that the only way to make real world measurements is with tipping-point based math. To Sung, simple counting math is enough. Why give this book four stars then? Sung's explanations are amazingly clear. For this alone, this book should be required reading for anyone interested in neuro anatomy. What about the fact that Sung believes the non material aspects of life all reduce to neurons? Provided insight on synapses, how they form and strengthen. I praise the book for trying to convey the idea that "You are your connectome". That was great, but I wish today's technology was better so the material here is less speculative (of course there's no way it could not be, because we still barely know anything about the brain). Excited to see emergent connectomic technologies to bring the revolution in neuroscience that Seung talks about. An accessible book to introduce and help explain the exciting theory that the mind is entirely encoded in the particular architecture of your brain. The central theme of "Connectome" is that such a mapping of the connections between neurons provides a far more complete picture of mental activity than other brain models. As Seung explains, mapping a brain's connectome would enable highly specific examination and treatment of a brain, going so far as to allow correlation of neuronal activity patte An accessible book to introduce and help explain the exciting theory that the mind is entirely encoded in the particular architecture of your brain. The central theme of "Connectome" is that such a mapping of the connections between neurons provides a far more complete picture of mental activity than other brain models. As Seung explains, mapping a brain's connectome would enable highly specific examination and treatment of a brain, going so far as to allow correlation of neuronal activity patterns with memory and conscious experience itself. The catch is the monumental technical challenge of obtaining and handling so much data, as mapping a connectome, like mapping a DNA genome, is a computationally expensive process. 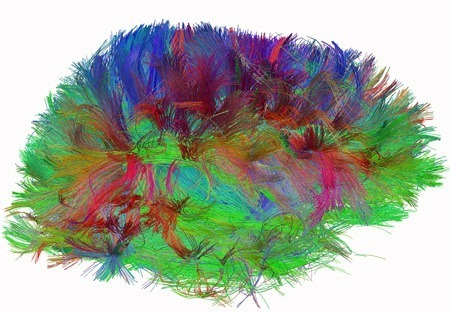 In fact, mapping the connections in a human brain is many, many orders of magnitude more complex given the density of neurons and the intricacy of their connections in brain tissue. Furthermore, technology with the proper specificity to automate the delicate task is still in early stage development. Thus a corollary theme in the book relates to the pace of technological change: the field of connectomics banks on the continuation of exponential growth in computer processing speed (e.g. Moore's Law) and accompanying technologies. Assuming that technology continues to progress as it has, Seung proposes that connectomes will naturally become the substrate of which we discuss our mental selves and our conscious identity. The fundamental idea of the connectome is persuasive and fascinating, but perhaps because of such preexisting interests, this book was less in-depth than I was hoping for, and much of the content therein will be familiar to other fans of cognitive science or avid tech enthusiasts. Seung devotes the end of the book to the interesting future possibilities of cyber immortality, but they come with the usual speculation & caveats and don't yield much of a takeaway message. Seung's writing style is natural if not as crisp as a science journalist, just occasionally veering too folksy for the science (with a few awkwardly stilted metaphors). This is a very well-written book about a topic which, alas, I discovered just doesn't do very much for me. That said, if you're interested in a layman's description of how the brain works from the perspective of a neuroscientist rather than a psychologist, this is a great book. Seung's thesis is that the brain is all about how it's wired, how it's connected. Two twins may have identical genomes, but differ from one another in skills and personality and other attributes because their differing env This is a very well-written book about a topic which, alas, I discovered just doesn't do very much for me. That said, if you're interested in a layman's description of how the brain works from the perspective of a neuroscientist rather than a psychologist, this is a great book. Seung's thesis is that the brain is all about how it's wired, how it's connected. Two twins may have identical genomes, but differ from one another in skills and personality and other attributes because their differing environments and experiences and memories have caused their brains to be differently wired. "Wiring" in this case refers to the patterns of axons and dendrites and synaptic connections that enable neurons to signal each other and collectively create the mind. The reason why Seung thinks that connectomics -- the science of the connectome -- is so interesting is because of its potential to change how we behave. Many things can go wrong with the brain: developmental disorders, strokes, traumatic injuries, psychosis, brain diseases such as Parkinson's and Alzheimers, and so forth. In order to cure or alleviate these, he believes that we must understand how the brain is wired. Then, we can look at how to change it, through the basic processes of reconnecting, reweighting, regenerating. Unfortunately, the complexity of the brain's structure and processes are mind-boggling in their complexity. As a result, the science of the connectome is still in its infancy. We can't even see the connectome yet, let alone tinker with it in a predictable, effective way. Our interventions are still at a very gross level: with drugs, surgery, electro-stimulation, and the like. Seung is a talented story-teller, weaving in history of science and famous ancient philosophers for a timeless feel, and also sharing the thrill of scientific discoveries and experiments. Connectome, as a craft of non-fiction, is polished to perfection. His thesis is that each human being is no more and no less than the sum of the connections between all neurons, and all of the details in how these systems operate. And that this connectome is constantly updating itself until death, using the 4 R’ Seung is a talented story-teller, weaving in history of science and famous ancient philosophers for a timeless feel, and also sharing the thrill of scientific discoveries and experiments. Connectome, as a craft of non-fiction, is polished to perfection. Isn’t it strange how 2010 (ted talk) and 2012 (book publication) feel like so long ago, here in 2017? His research does seem cutting edge, but also somewhat oddly isolated within his field, and the book probably already would benefit from an updated revision. For example, machine learning, convolutional neural nets, and deep learning have all tremendously advanced in 5 years, especially in serial image processing, so this must be aiding his work. Nevertheless, many topics he approaches are thought provoking, and I’m sure this area of neurophysiology will become increasingly important. The one area I wish he could have covered more is the role of various neurotransmitters or other molecules and proteins on rewiring and regeneration. Since he just left that area with “we don’t know how this works yet”, it seems research on cognition improving therapies is still far distant. Lastly, I gave this a 4 since for me I wish he had ventured much deeper into the scientific details. This could well be a 5 for less technical readers who would love and enjoy his very lucid lay explanations of complex brain processes. "[...] you might act like a victim of brain damage. Neurologists know that such victims deny their problems. Amnesics, for example, sometimes accuse others of deceiving them when they have memory lapses. Stroke victims don't always acknowledge paralysis, and may contrive fantastic explanations as to why they cannot perform certain tasks." "[...] since language itself is but a metaphoric expression of human experience." "Perhaps we can resist "the devil" by restructuring our economic incentives, re "[...] you might act like a victim of brain damage. Neurologists know that such victims deny their problems. Amnesics, for example, sometimes accuse others of deceiving them when they have memory lapses. Stroke victims don't always acknowledge paralysis, and may contrive fantastic explanations as to why they cannot perform certain tasks." "Perhaps we can resist "the devil" by restructuring our economic incentives, reforming our political systems, and perfecting our ethical ideals. These are the time-honored ways of improving our brains. But in time, science will also invent others. Bernal hoped that humanity would triumph over the world, the flesh, and the devil, which he called "the three enemies of the rational soul." We can express his dream in another way - as the quest to control atoms, genomes, and connectomes." "Let's jump ahead for the moment to the last stage, human testing. Physicians manage this stage, administering candidate drugs to patients to see whether symptoms improve. It's neither economical nor ethical to test a drug on people unless there is already good reason to believe that the drug is likely to be safe and effective. Even so, nine out of ten candidates fail at this point, as I mentioned earlier, and the attrition rate is even higher for disorders of the central nervous system." "Historically, most drugs have been discovered by chance." "A few gulps of oxygen are all that stand between us and death." "We do have an alternative to "hypothesis-driven," or deductive, research - the "data-driven," or inductive, approach. It too has three steps: (1) Collect a vast amount of data. (2) Analyze the data to detect patterns. (3) Use these patterns to formulate hypotheses." ""The greatest impact of genomics has been the ability to investigate biological phenomena in a comprehensive, unbiased, hypothesis-free manner." It doesn't sound like what we were taught about the scientific method in school, where we learned that science proceeds in three steps: (1) Formulate a hypothesis. (2) Make a prediction based on the hypothesis. (3) Perform an experiment to test the prediction. Sometimes that procedure works. But for every success story, there are many more stories of failure caused by choosing the wrong hypothesis to investigate. It can take a lot of time and effort to test a hypothesis, which might turn out to be wrong or - even worse - simply irrelevant." "The outer gray matter is a mixture of all parts of neurons - cell bodies, dendrites, axons, and synapses - while the white matter contains only axons. In other words, the inner white matter is all "wires."" "For example, the five broad classes of neurons in the retina - photoreceptors, horizontal cells, bipolar cells, amacrine cells, and ganglions cells [...]"
"And researchers can be distracted by the promise of AI, struggling in vain to fully automate tasks that would be more efficiently accomplished by the cooperation of computers and humans." "[...] There exists no fair and certain method of doing science that can outperform the average." "Military historians dwell on the cunning gambits of daring generals, and the uneasy dance of soldiers and statesmen. Yet in the grand scheme of things, such tales may matter less than the backstory of technological innovation. Through the invention of the gun, the fighter plane, and the atomic bomb, weapon makers have repeatedly transformed the face of war more than any general ever did." "You might think that your hand grew fingers by adding cells. No - actually, cell death etched away at your embryonic hand to create spaces between your fingers." "Since experiences like visual stimulation and exposure to language were normally available to all children throughout human history, brain development "expects" to encounter them, and has evolved to rely heavily upon them. On the other hand, experiences like reading books were not available to our ancient ancestors. Brain development could not have evolved to depend upon them." "Amblyopia suggests that we are not simply born with the ability to see; we must also learn from experience, and there is a critical period for this process. If the brain is deprived of normal visual stimulation from one eye during this limited time window, it does not develop normally. The effect is irreversible in adulthood." "As the saying goes, perfection is achieved not when there is nothing left to add, but when there is nothing left to take away." "All human behavioral traits are heritable." "There is good evidence, however, that retention of memories over long periods does not require neural activity. Some victims of drowning in icy water have been resuscitated after being effectively dead for tens of minutes. Even though their hearts had stopped pumping blood, the icy cold prevented permanent brain damage. The lucky ones recovered with little or no memory loss, despite the complete inactivity of their neurons while their brains were chilled." "The ancients already knew the paradoxical fact that remembering more information is often easier than remembering less. Orators and poets exploited this fact in a mnemonic technique called the method of loci. To memorize a list of items, they imagined walking through a series of rooms in a house and finding each item in a different room. The method may have worked by increasing the redundancy of each item's representation." "Nerve growth factor is one example; its discovery won Rita Levi-Montalcini and Stanley Cohen a 1986 Nobel Prize." "In fact, a feeling of difficulty often accompanies the experience of memory, while perception usually feels effortless." "You could think of the brain as being like our society, which abounds in conformists but also harbors some contrarians." Apt and succinct writing for such a profound and vast topic. Contains great and amusing references to philosophy and history combining science with art. A technical but otherwise informative book on the brain and its connections put in a simple manner for readers with basic biological knowledge to understand. Posits a great number of questions (More than answers) regarding the complex enigmatic mind. Opens up the eye to the possibility of a future revolving around our connectome, Our self. A thou Apt and succinct writing for such a profound and vast topic. Contains great and amusing references to philosophy and history combining science with art. A technical but otherwise informative book on the brain and its connections put in a simple manner for readers with basic biological knowledge to understand. Posits a great number of questions (More than answers) regarding the complex enigmatic mind. Unluckily, the science of connectomics is still in its very beginnings so that the book cannot move much beyond speculation. There is a nice compendium of cutting-edge techniques in neuroscience and the book is very well written, which makes you wish for more. I personally was expecting astounding scientific breakthroughs, but soon realized that it is not the moment quite yet. I'd be very glad if the author would revisit the topic 10 or 15 years from now. Started great -- like one of the best science books for a general audience I'd ever read. Then it got tedious and even annoying, as when the author urged me to memorize a set of terms (frontal, temporal, occipital...) because he'd be using them a lot. Then he hardly did. I think the author forgot his audience, got a little sloppy, and maybe thinks just a bit too highly of his idea. Which I think is brilliant, by the way. I just didn't need the last 89% or so of this book. A cute little book in which Mr. Seung makes some bold claims wrapped up in a very accessible package. His insights come with a wealth of examples and explanations like the weighted voting system of neurons which is an approximation of the way neurons function to determine our actions. All in all a very enjoyable book, which delves deep into the theoretical hypotheses under scrutiny at the moment in neuroscience, albeit in a very pleasant style. I liked the writing in and of itself fairly well, the the premise the author was trying to sell did not quite come off. It's not even that in part I don't agree with him, its more that it should have been better developed and better researched to sway the audience. I just didn't feel that firing spark of joyful discovery that I had hoped to come across with this. According to Sebastian Seung, the self is a non-material entity. The 21st-century soul, however, is not some strange ghost in the machine. It's information. You are, in effect, a piece of software running on the wetware in your skull. The best thing I likes about this book is Sebastian Seung's reflections of philosophy and religion. Good book with nice historic perspective and brain anatomy. Last 3-4 chapters are less thorough, but it is understandable, since there are more fictional and have less scientific ground. Connectome and the general idea is that everything is in connections/weights is a feasible concept, so it was interesting to read about progress in this area. Unfortunately, with current technologies it all looks close to impossible. "The function of a neuron is defined chiefly by its connections with Good book with nice historic perspective and brain anatomy. Last 3-4 chapters are less thorough, but it is understandable, since there are more fictional and have less scientific ground. "The function of a neuron is defined chiefly by its connections with other neurons." "New synapses are created at a staggering rate in the infant brain. In Brodmann area 17 alone, over half a million per second are produced between two and four months of age." "Persistent spiking is the trace of short-term memory, while persistent connections are the trace of long-term memory. To store information for long periods, the brain transfers it from activity to connections. To recall the information, the brain transfers it back from connections to activity." Its a great book from start to finish. Although I did not completely agree with a lot of the author's views towards the end, it really is great thinking and a fairly believable assessment of the future course of society. The book is split into 5 parts each dealing with different topics that converge to elucidate the working of arguably, the most important part of the human body, the brain. The author gives an openly biased view on most matters, solving; and suggesting solutions for, various probl Its a great book from start to finish. Although I did not completely agree with a lot of the author's views towards the end, it really is great thinking and a fairly believable assessment of the future course of society. The book is split into 5 parts each dealing with different topics that converge to elucidate the working of arguably, the most important part of the human body, the brain. The author gives an openly biased view on most matters, solving; and suggesting solutions for, various problems using the connectionist mantra. Part 1 deals with the old school of thought, namely phrenology, Part 2 speaks of the Connectionist school of thought while Part 3 ties the role of genes and DNA into the equation. The next two Parts speak of the existing and future technologies that may come into play to study the brain and it's connections. Embarrassing: I thought this was 'Connect (To) Me, therefore a book about how social media impacts people. When I got it from the library I realized it was about determining the way our brains work and how it makes us, well- us. Given how different it was from what I expected, I am stunned at how much i liked this book. And also how approachable Seung makes the content for this decidedly non-scientific reader. What made it even more fascinating was a random viewing of the new Keanu Reeves movie Re Embarrassing: I thought this was 'Connect (To) Me, therefore a book about how social media impacts people. When I got it from the library I realized it was about determining the way our brains work and how it makes us, well- us. What made it even more fascinating was a random viewing of the new Keanu Reeves movie Replicas this past weekend. Early in the movie (which was so improbable it makes Heaven's gate look lucid and budget-friendly), Keanu mutters 'connectomes' during a sequence on brain imaging. Both the movie and the book should, ideally, be experienced together by all readers as the themes ran concurrently throughout. Well written. My enjoyment suffered due to bookending with the more illuminating (in some ways mind blowing) “Probably Approximately Correct” (Valiant) and “the book of why” (Pearl). Early chapters are too much a recap of a couple decades of popular science articles and books. The key here is the phrase coined is “it’s neurons all the way down” (https://en.m.wikipedia.org/wiki/Turtl...). I think a fair summary would be that the book contends that it’s neurons all the way _up_. Brain regions seem Well written. My enjoyment suffered due to bookending with the more illuminating (in some ways mind blowing) “Probably Approximately Correct” (Valiant) and “the book of why” (Pearl). Early chapters are too much a recap of a couple decades of popular science articles and books. The key here is the phrase coined is “it’s neurons all the way down” (https://en.m.wikipedia.org/wiki/Turtl...). I think a fair summary would be that the book contends that it’s neurons all the way _up_. Brain regions seem primarily interesting to Seung due to differences in their composition of neuron and neurotransmitter variation. Very much aligned to mainstream AI (which is currently knocking it out of the park). And very good if you have no problem with that.